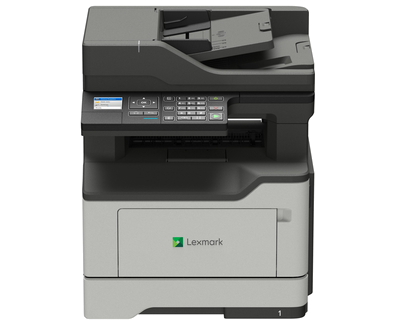 The Lexmark MX321adw prints at up to 38 ppm* and offers fax, automatic document feeder, and copy functions plus standard Wi-Fi for easy and secure connectivity. Standard USB and gigabit Ethernet are just the start. The MX321adw has standard Wi-Fi for secure and easy connectivity and an easy-to-use app, Lexmark Mobile Assistant, to allow device setup directly from your mobile device.